At KitchenAlity, we believe that a kitchen design is more than just an arrangement of cabinets, appliances, lighting, and a sink. To us, kitchens are the life of the home, and we think they should reflect your unique sense of style and be filled with personality. When you choose KitchenAlity, our team of kitchen design professionals will sit down with you – right in your kitchen – and have a detailed conversation to get a firsthand look into what you’d like for your kitchen to become. Then, we’ll use this information to create a 3D design rendering to be submitted for your approval. When, and only when, you have approved the final design, we will begin to turn that rendering into a real work of art in your home. And more – including additional space thanks to our wall removal services! For additional information about the kitchen design and remodeling services offered by KitchenAlity throughout the Tampa Bay area, please contact us today for a free in-home meeting with a member from our team. 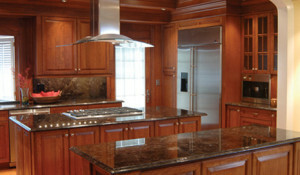 We’re proud to be a kitchen remodeler serving homeowners in South Tampa, Westchase, Lutz, North Tampa, and beyond.